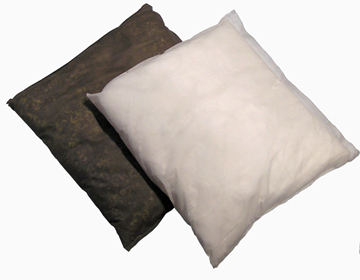 Choose a pillow when you need one absorbent to perform multiple jobs. One product for multiple uses. 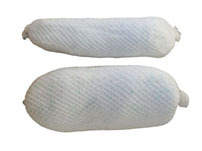 Use in place of a sock or absorbent pad. Absorb Large quantities quickly. Ideal for placement under leaky equipment or drums. Tear resistant and durable construction. Quick wicking throughout pillows. Colors: White (Oil Only), Gray (Universal). Shipping rates are estimates only, and do not include fuel surcharges that may change daily. Acutal rates may vary.